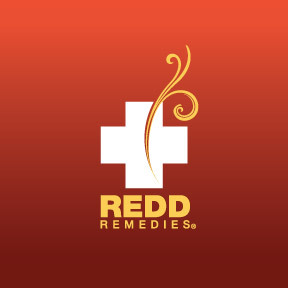 Professional Supplement Center now carries a line of holistic, natural health and wellness solutions developed by Redd Remedies®, a family business established in 1961 as a natural food company. A true desire to improve the health of their customers combined with many years of research resulted in the development of Redd Remedies® formulations. These effective, high quality supplements are designed to deliver meaningful support for the entire body. All of their products integrate a whole person balanced modality approach that includes Traditional Chinese Medicine, Ayurvedic medicine, aromatherapy and European herbals along with vitamins and minerals. Redd Remedies is committed to providing pure, safe, and effective products. The latest testing technologies are utilized to ensure the identity, potency and purity of all raw materials. Strict operational procedures ensure compliance with current Good Manufacturing Practices (cGMP). Every final product undergoes analysis to verify labeling, stability, reliability and consistency. Bone Health Advanced – This advanced formula provides bone health support with food-sourced calcium along with critical co-factors, which include vitamins D and K2, magnesium and boron. These synergistic ingredients support mineralization and bone tissue strength. Gluten free, vegetarian formula. Bone Health Original formula also available. Joint Health Advanced – This all natural product provides superior joint health support with naturally occurring hyaluronic acid, collagen and chondroitin along with a proprietary blend of botanical extracts. Turmeric and boswellia provide advanced support for a healthy inflammatory response. Gluten, dairy and soy free. Also available as Joint Health Original. Joint Health Soft Chews – These delicious, all natural black cherry flavored soft chews contain naturally occurring hyaluronic acid, collagen, chondroitin and calcium in support of joint health, comfort and flexibility. Gluten, dairy and soy free, Non-GMO, vegetarian formula. Pain T4 – This fast acting, synergistic blend of botanicals targets stress, the brain, joints and muscles for advanced pain relief. Clinically tested to be safe and effective, this product provides adaptogenic support to balance the mind and body with a scientifically validated and patented form of turmeric root extract, Ashwagandha and other traditional herbs. Gluten free, vegetarian formula. Should you have any questions about these or any other products, please call or email Professional Supplement Center. Our knowledgeable staff is always happy to assist you. This entry was posted in Home and tagged Bone Health Advanced, Joint Health Advanced, Joint Health Soft Chews, Pain T4, Professional Supplement Center, Redd Remedies, Vitamins and supplements, www.professionalsupplementcenter.com. Bookmark the permalink.